Google is considered as the ultimate judge regarding ranking how your site works. That said, make sure that you are on the search engine giant’s safe side. Now, if your site is not ranking well, there is a huge chance that Google hates it. To remedy that, make sure to audit your site frequently to guarantee you are getting maximum SEO benefits. 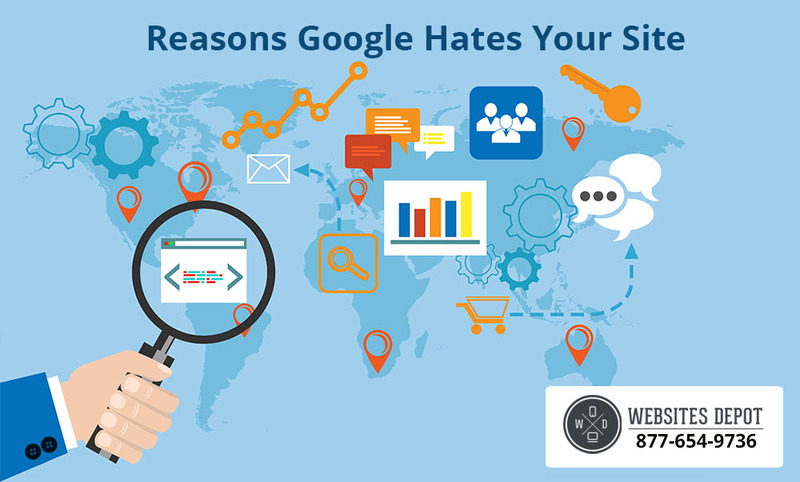 In this post, you will learn about some of the reasons Google does not like your site. Most ranking factors tackle your website design. That said, your website’s overall design has to be built to engage in SEO. One of the things to consider is to make sure that it is mobile-friendly. If not, you are going to lose up to 30 percent of leads based on this element alone. Then, look into your site’s title tags and meta data. They are useful in telling Google how to rank you. Without these data, Google is blind. Links are vital for ranking. However, make sure that your links are natural. If not, Google will notice them and drop you from ranking. To make it favorable in the eyes of this search engine, you must utilize link diversity techniques. That is, you should link to authority websites where you got the information. It shows Google that you are providing quality information on your site. Then, use internal links to all your content. You may link to landing pages or blog posts. But these links must be relevant to the content. If you are writing content to rank, then you are doing more harm than good to your site. Instead, choose to offer value to your visitors. Google will know whether or not your site offers value based on how much your readers interact with it. When ranking your site, Google includes how much time your visitors spend on your site and how they interact. Now, if you are providing them with valuable advice, they will read it from top to bottom. If they stay longer, it means that you are providing your audience with useful content. However, if they leave quickly, then it only shows that your site offers little value. That means, when you write content, make sure to answer the questions of your potential clients or provide useful advice. Do not write content just to fill up space.